This is one of the most weird questions i get from many readers ,if it is fine to paint over the acrylic nails. If it wasn’t fine to paint over the acrylic nails then what’s the point in getting them first of all ? Nobody wants just acrylic nails but beautifully painted acrylics showing off your art and unique designs, right? So it is perfectly fine and safe, actually necessary to paint your acrylic nails if you got them. 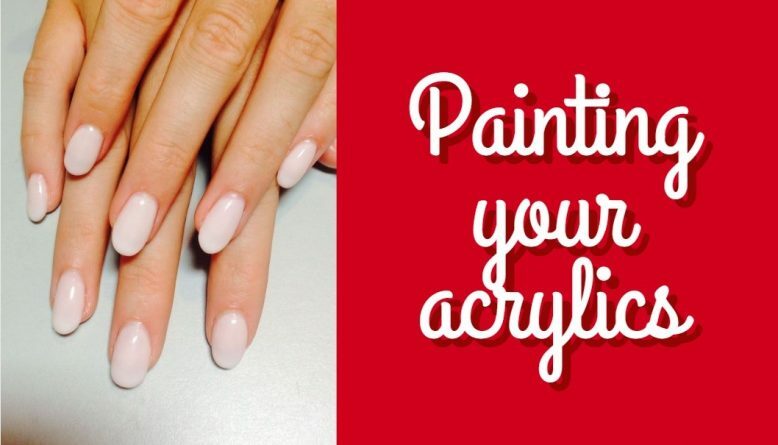 But before you just go, take your favorite nail polish and start painting the fake nails, you must take care of few things which are special for the acrylic nails only. First remove the old nail polish if you got any already from the acrylic nails. For this purpose, you must use only Acetone FREE Nail Polish remover. The reason for using non acetone based remover is that if you apply acetone on your acrylic nails then acrylic will also start coming off along with the nail polish. This is what we really do not want. 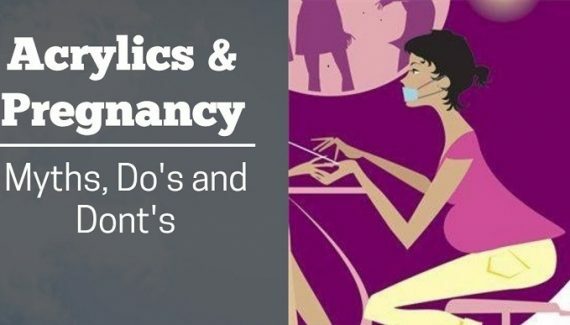 Hence make sure you use only a nail polish remover which has got no acetone in it. This is a pretty good product. It is completely non toxic and made from organic materials. Its healthy for your nails and a must buy product. Same product as the previous one but the only difference is that this one is unscented. Works really well on your nails and complete harmless. Comes from a reputed brand. If you are brand crazy go for this one. 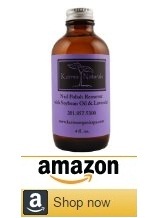 Results will be great but it has strong scent and not completely non toxic. After rubbing your nails with cotton using one of above suggested nail polish removers, you must wash your hands with water. Then dry your nails with some soft cotton pads or cloth. This is a very important step which is mostly ignored by the girls but it helps preventing any kind of infection later. You need moisture free base to apply the nail paint. Now lets start doing the main procedure. First apply one or if needed a couple coat of base coat first. Its better to use the base coat specially made for the acrylic nails. 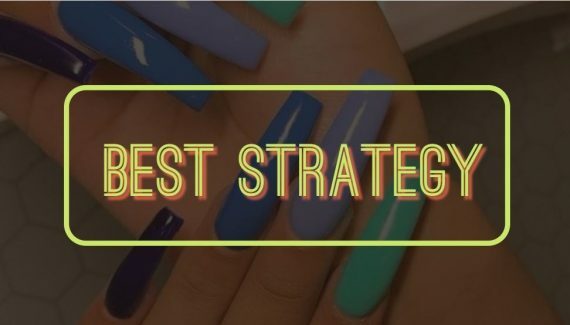 Some prefer going without any base coat at all but for the acrylic nails i make sure the base coat is applied first as it gives protection to your acrylic nails from the chemicals in nail polish. 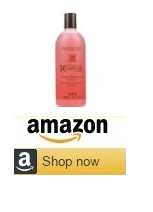 It really increases the life of your acrylic nails as well as nail paint. This is one of the very few available base coat for the acrylic nails from a trusted brand. 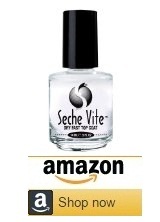 Works great when you apply 2 coat of this product before polish. Wait for the base coat to dry fiRst, do not rush through at all. Then only apply the two to three coats of polish on the acrylic nails. You can go crazy over here choosing your custom colors and making designs as you like. Be creative or you can keep it simple too. I am not going to make any recommendations here as there are too many nail paint brands all of which work just fine. I suggest using your own personal favorite ones here. Finally apply one or two (if you want) layers of top coat on the nail polish. Make sure the nail polish has completely dried before you continue with the top coat or its going to be more messy. TAKE CARE: You can if you want use UV top coat as well but its not recommended by me as using UV on acrylic nails is not one of the best practices. You can get success with it but UV coat often tends to chip the acrylics. BEWARE: Shellac is a registered product and brand name of CND. Only CND can make shellac nail polish. There are lot of fake shellac nail polish in the local market. Do not buy those as they are duplicates. No other manufacturer can sell the same. If you have any questions, fell free to leave a reply below. Do read our other recommendations, reviews and tutorials for all acrylic nails help. 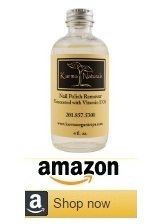 what is the best UV curing lamp on amazon for curing (CND) shellac nail coats and other gel nail polishes? 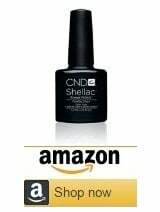 This one is pretty good for shellac nails and it comes by CND. I have acrylic nails with white tips. If I paint over them with a dark shade and remove the paint later, will it go back to the original white tips or will it get tinted? I want to change my nail shade for a few days and then want to come back to white tips without getting them redone form the salon. Thank you for giveing me the answer befor I just put nail polish remover on my acrylics ??????? If a nail falls off, can I put it back on? If so, how? I’m afraid that could be risky! You should redo that nail instead of trying to fix it. After having my nails done at the salon, can I buy my own matte top coat and apply it to my nails and it look like matte? Once I apply nail polish and top coat, the polish won’t stay on. I don’t understand why. If I touch it. It wants to come right off. Any recommendations. I used uv lamp for 5 min plus each hand.